Today’s workforce is comprised of a wide swath of generations, from the newly-employed Generation Z up to the seasoned Baby Boomers. Career development practitioners are tasked with developing their competencies and skillsets when working with individuals from these various generations. In the workplace, there is also the potential for a robust exchange of ideas when diverse teams are communicating effectively. This conference will focus on the unique characteristics of, specific challenges experienced by, and effective strategies for working with each of the various generations now populating the workplace and our classrooms. Specific generations within diverse and underserved populations will also be emphasized. Dr. William (Bill) T. Scroggins took office as the ninth President & CEO of Mt. San Antonio College on July 1, 2011. Dr. Scroggins came to Mt. SAC with nearly 40 years of experience in higher education including 11 years as an administrator. 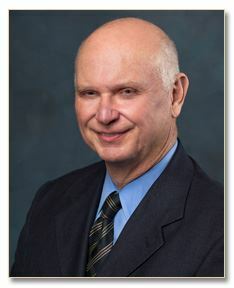 He served as Superintendent/President of College of the Sequoias in Visalia, served as Vice President of Instruction at Modesto Junior College for five years and as Interim President for two years, was Dean of Science and Math at San Bernandino Valley College after being a Chemistry professor at El Camino and Chabot Colleges.